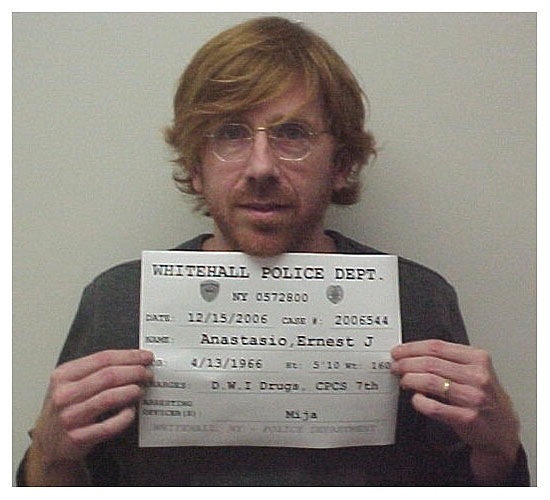 DECEMBER 15--Former Phish frontman Trey Anastasio was arrested early this morning on a driving while intoxicated rap and New York cops found the musician in possession of a variety of medications prescribed to another person. 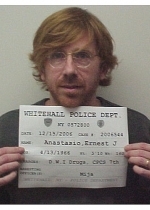 Anastasio, who is pictured in the adjacent mug shot snapped by the Whitehall Police Department, was nabbed at around 3:30 AM following a traffic stop by Patrolman Andrew Mija. 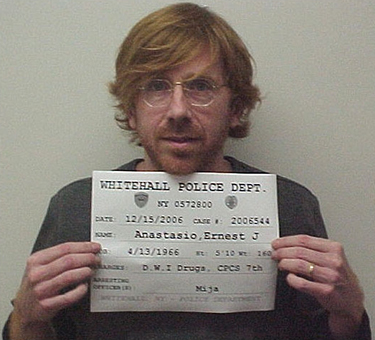 Anastasio failed field sobriety tests and was found to be carrying Xanax, Percocet, and Hydrocodone.